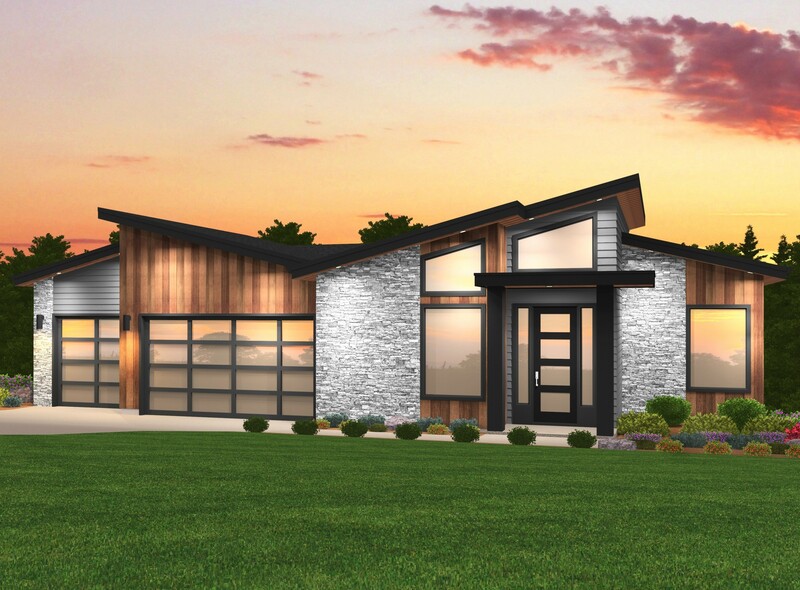 A stunning example of our Modern Style, this house plan is sure to impress. On the main floor, the most notable feature is a main floor master suite, as well as convertible den/bedroom, a well lit vaulted foyer, and a large deck at the rear. The basement features a very large rec room, two bedrooms, and a large patio underneath the upstairs deck. 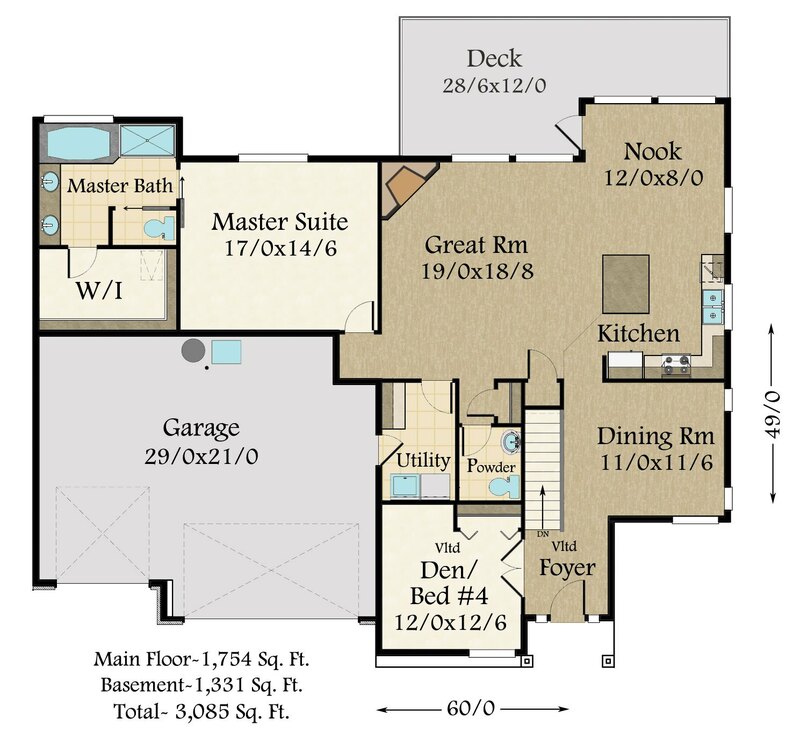 If you are searching for an exciting Modern Daylight Basement House Plan you have found it! The roof is a beautiful butterfly shed roof design with a twist… It has been designed as an affordable simple to build truss system. Beauty does not have to cost an arm and a leg if the home is designed carefully. Saucy is designed with a three car garage, and a floor plan featuring tons of natural light, and volume ceilings. Both a large breakfast nook and a Dining Room are a part of the main floor. The Great Room is open to the kitchen, nook and back deck. 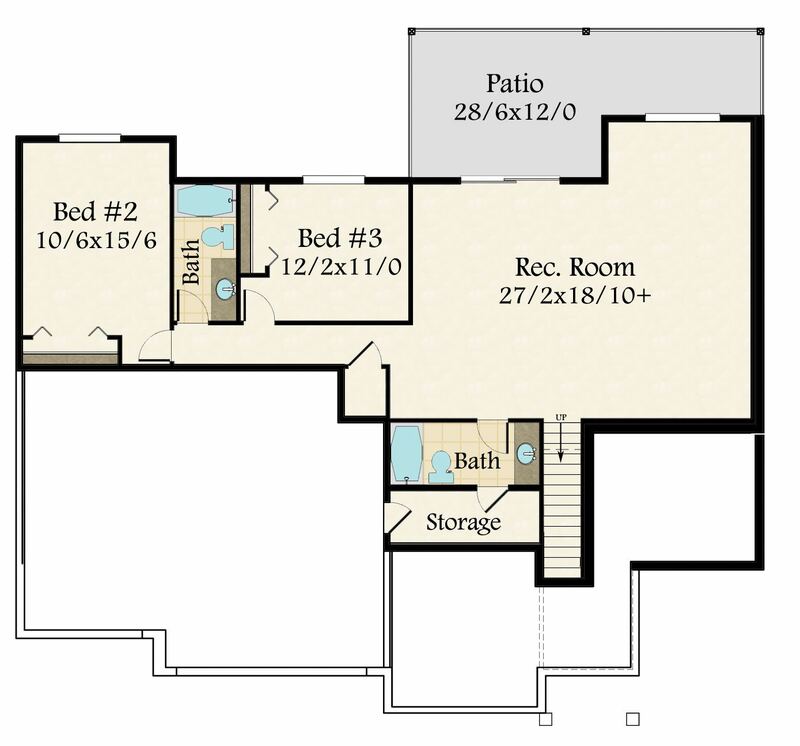 A very nice Master Suite features big space, a very large walk-in wardrobe and a bath boasting a shower and soaking tub. Downstairs you are greeted with a large and flexible Recreation Room, and two additional bedrooms, with two bathrooms. This home has been an instant classic and a true Builder Favorite.